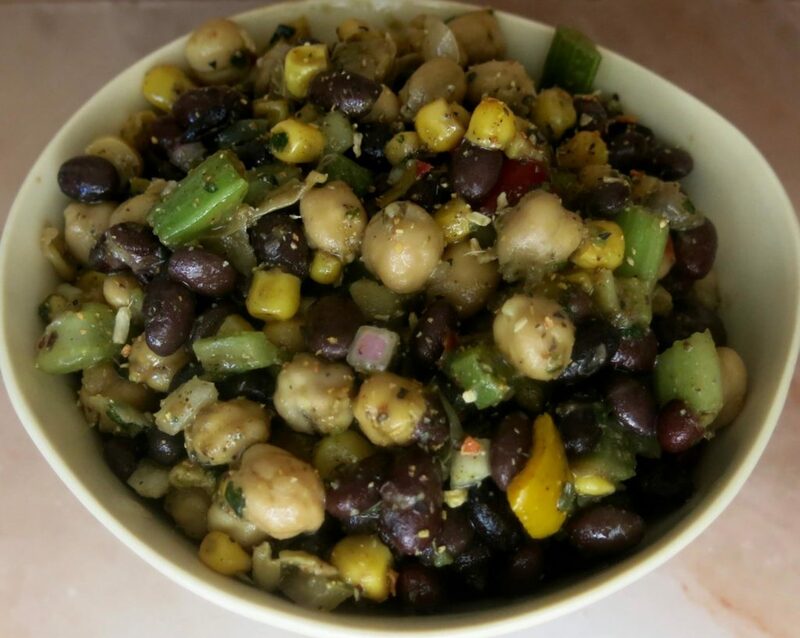 Place Margaret Holmes Seasoned Black Beans, garbanzo beans, Margaret Holmes Buttered Corn, celery, red onion and yellow pepper in a bowl. In a separate bowl, whisk together vinegar, olive oil, garlic and vegetable seasoning; pour dressing over vegetables and mix well. Chill for 15 minutes then season with salt & pepper to taste.